Last night we celebrated Yummy Hubby’s birthday with an al fresco dinner party. I am excited to share all the party details soon, but wanted to post one of the recipes now. Many of our friends asked for it last night. 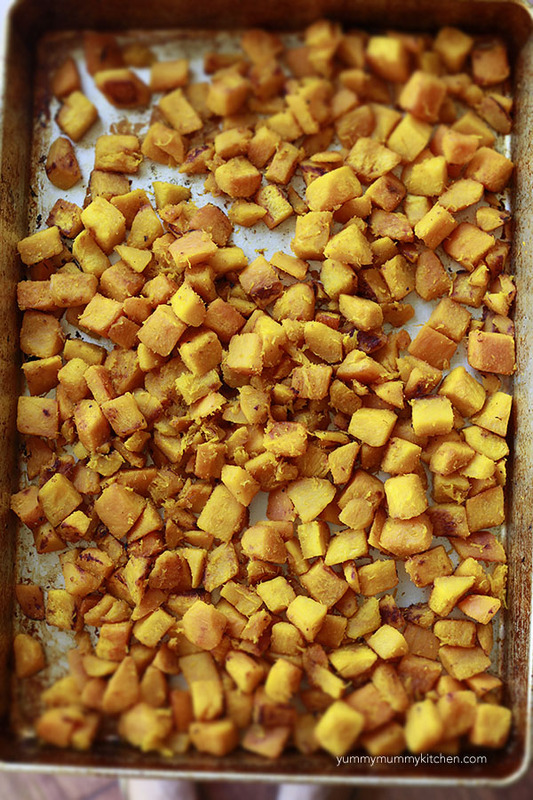 The original recipe called for canned pumpkin, which makes for a super easy dinner. Since this was a special dinner party, I decided to roast pumpkin with a drizzle of olive oil and honey. I wanted the pumpkin layer to be a little chunkier than canned pumpkin puree. Next time I probably go the canned route to save some time, as this was quite labor intensive. I used three beautiful bunches of rainbow chard from the farmers market. It seems like a lot when you add it to the pot, but it really cooks down. 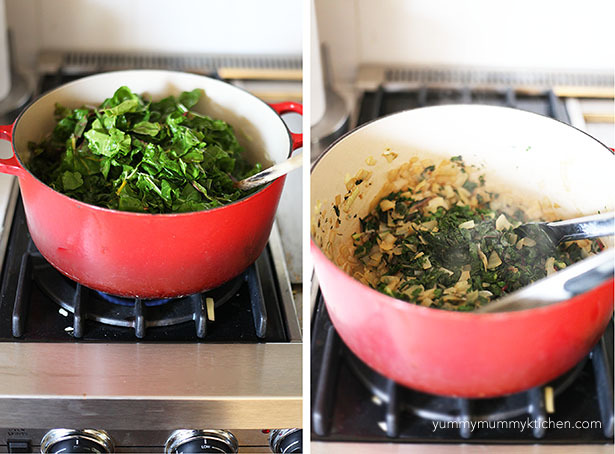 You can use rainbow or Swiss chard. 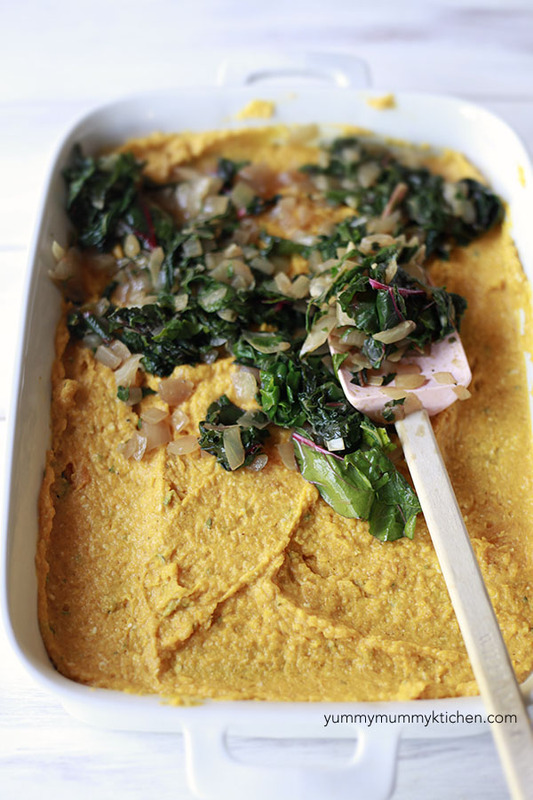 The creamy pumpkin mixture is layered with the chard. and topped with a sprinkle of Parmesan. I made my lasagna the night before the party and refrigerated it, unbaked. I let it come to room temperature before the party and then baked it. The first thing our guests said when they came in was, “Ooooooh, your house smells incredible!” This dish was the reason, I think. 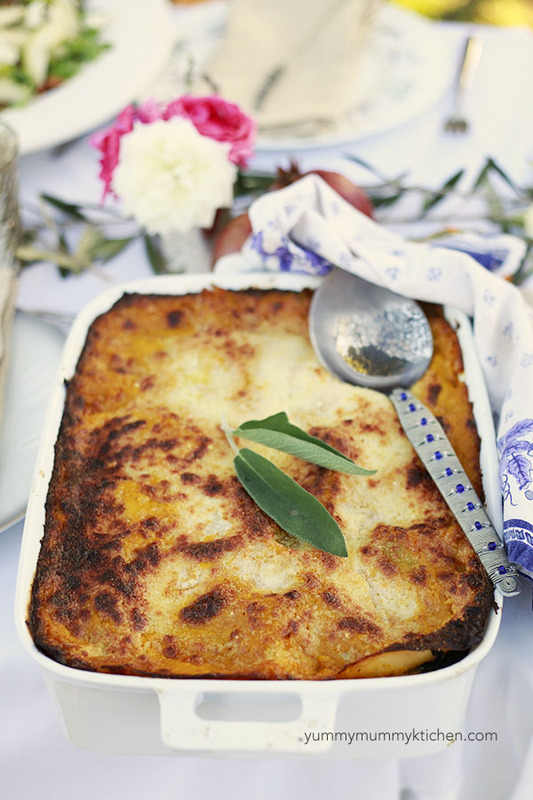 Pumpkin lasagna is a fantastic any-day meal, but would perfect for a vegetarian Thanksgiving too. *Vegan Option: replace cream and milk with coconut cream and coconut milk. Omit the cheese and butter. *Gluten Free Option: use gluten free noodles. Great recipe! love the flavors! 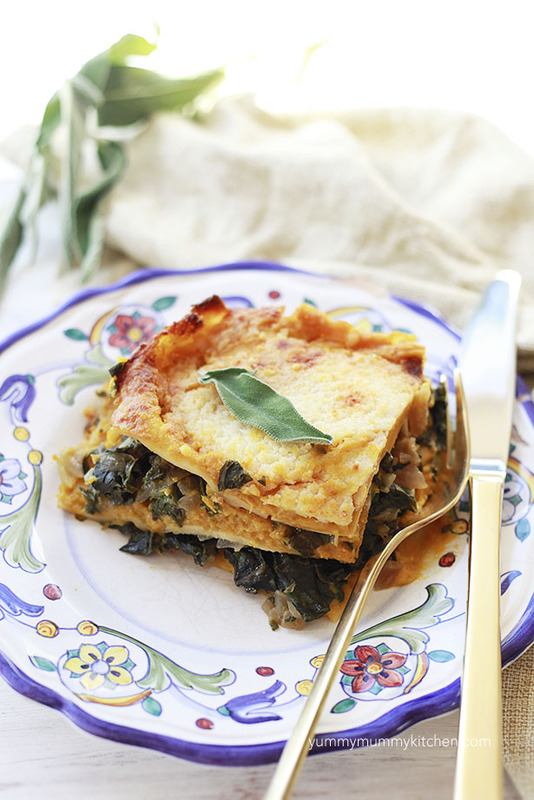 This is one of the most Delightful meatless lasagnas we’ve ever had. Simple to put together & always seconds as in demand!